Robotics is the interdisciplinary branch of engineering and science that includes mechanical engineering, electrical engineering, computer science, and others. 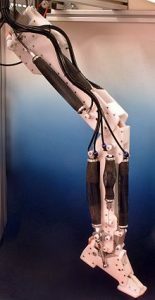 Robotics deals with the design, construction, operation, and use of robots, as well as computer systems for their control, sensory feedback, and information processing. These technologies are used to develop machines that can substitute for humans. Robots can be used in any situation and for any purpose, but today many are used in dangerous environments (including bomb detection and deactivation), manufacturing processes, or where humans cannot survive. Robots can take on any form but some are made to resemble humans in appearance. This is said to help in the acceptance of a robot in certain replicative behaviors usually performed by people. Such robots attempt to replicate walking, lifting, speech, cognition, and basically anything a human can do. Many of today’s robots are inspired by nature, contributing to the field of bio-inspired robotics. 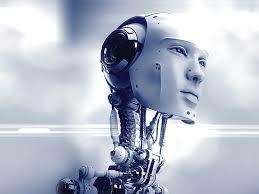 Robots all have some kind of mechanical construction, a frame, form or shape designed to achieve a particular task. For example, a robot designed to travel across heavy dirt or mud, might use caterpillar tracks. The mechanical aspect is mostly the creator’s solution to completing the assigned task and dealing with the physics of the environment around it. Form follows function. All robots contain some level of computer programming code. A program is how a robot decides when or how to do something. In the caterpillar track example, a robot that needs to move across a muddy road may have the correct mechanical construction and receive the correct amount of power from its battery, but would not go anywhere without a program telling it to move. Programs are the core essence of a robot, it could have excellent mechanical and electrical construction, but if its program is poorly constructed its performance will be very poor (or it may not perform at all). 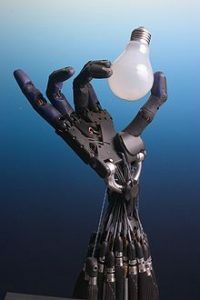 There are three different types of robotic programs: remote control, artificial intelligence and hybrid. A robot with remote control programming has a preexisting set of commands that it will only perform if and when it receives a signal from a control source, typically a human being with a remote control. It is perhaps more appropriate to view devices controlled primarily by human commands as falling in the discipline of automation rather than robotics. Robots that use artificial intelligence interact with their environment on their own without a control source, and can determine reactions to objects and problems they encounter using their preexisting programming. Hybrid is a form of programming that incorporates both AI and RC functions. The above mentioned is a brief about Robotics. Watch out this space for More updates on the latest trends in Technology.